South Korean artist Jae-Eun Choi is teaming up with prolific architect Shigeru Ban to bridge a peaceful relationship between North Korea and South Korea. The artist and architect propose to install a garden-lined bamboo bridge called “Dreaming of Earth” within the Korean DMZ area, which has grown into a unique wildlife sanctuary over the decades of tension between the two countries. 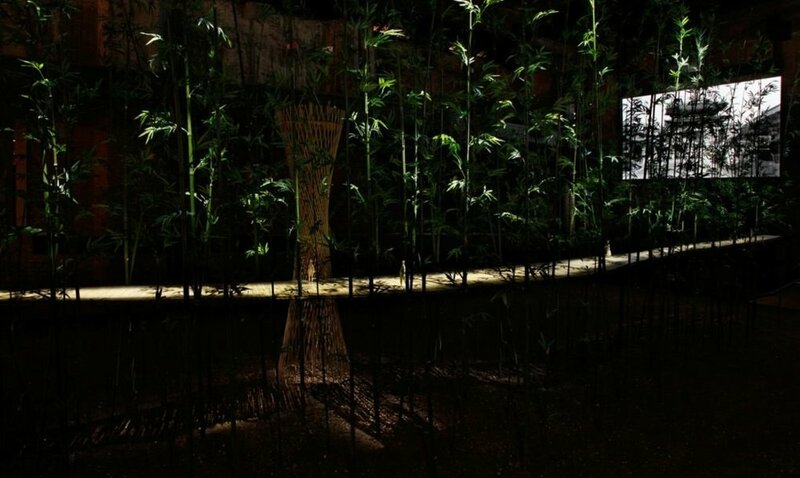 The ambitious project includes an elevated bamboo walkway with various meditation pavilions would span roughly eight miles through the two warring countries. On a mission to create common peaceful zone that would sit strategically between the two enemy nations, Jae-Eun Choi and Shigeru Ban unveiled the design behind Dreaming of Earth at the 2016 Venice Biennale. 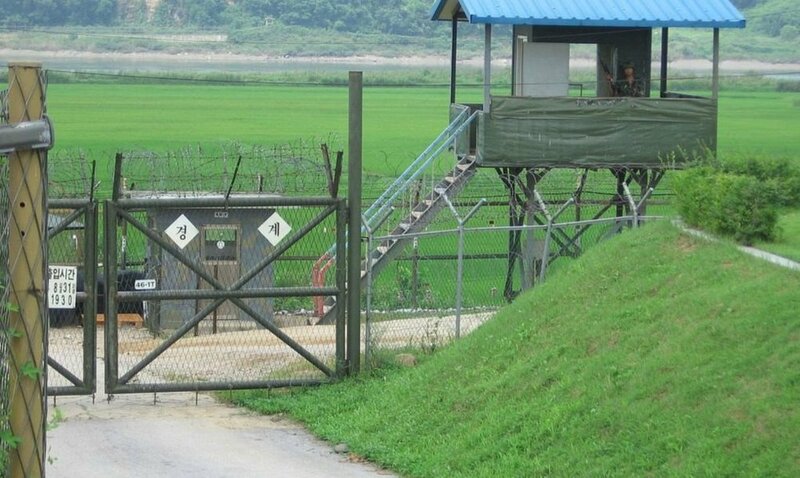 The bridge would comprise a small, peaceful gesture within the 160-mile-long, 2.5-mile-wide DMZ zone that separates the two countries. The area has been a no-man’s land of sorts for more than half a century and as such, has naturally converted into a beautiful wildlife sanctuary where native plants and animals live in harmony. Choi’s project envisions a long curving bridge that would sit off the ground to protect visitors from DMZ landmines. The 13-kilometre-long passage is anchored by 12 Korean traditional pavilions or "jungja." Five pavilions have been designed by Eliasson, Lee Ufan, Lee Bul, Studio Mumbai and Tadashi Kawamata in a way that minimises architectural interventions and makes the utmost use of natural materials. There will also be a Seed Bank and a Knowledge Bank, both of which intend to educate visitors about the ecological and historic importance of the site and help preserve its pristine natural condition. The sites for the remaining seven pavilions conspicuously and symbolically remain empty for future participation by North Korean architects if and when relations between the two countries improve -- although they would have to improve dramatically. "This is a dreamlike project with the aim of better preparing for reunification, which will happen one day. Many global artists joined us to dream together," said Choi during a press briefing at the Seoul Museum of History in October. "With the 10 artist teams, the project has become more solid and is not only about the two Koreas, but it has become a truly global project," she said. Two years ago, she submitted the project plan to South Korea's Ministry of Unification, which deals with inter-Korean issues, for deliberation. But she hasn't heard from them. "This is not a complete project but a work-in-progress. We, as artists, give play to our imagination and suggest whatever we can in our respective fields," said architect Cho Min-suk. Alan Weisman, the author of the critically acclaimed "The World Without Us," which raises awareness of environmental issues, said he was impressed by "one of the most extraordinary artistic, aesthetic proposals that have ever happened in this world to bring together such an incredible talent to do nothing less than what politicians have never been able to do on the peninsula and to do something that is going to have a huge impact all over the world." He added, "What happens in Korea is very connected to what happens in the world." The project was invited to the Venice Architecture Biennale last year to introduce to the world the special geographical and political circumstances of the zone. "We will continue this project until it materialises. It may take 10 years or never happen. Or it could happen in a few years," said Choi. "Everyone is in the project, dreaming the same dream about a day when it comes true."